← Finally, the step out . . . Growing up in a varied and independent pentecostal/charismatic circle of spiritual youth-rearing had many cool side-effects. Not the least of which was the ability to pursue music that was loud, melodic and passionate. At age thirteen, I bought my first guitar off a friend. It was a EPIC pile of junk. Yet, no one told me that, so I learned to play with strings 3/4″ off the fretboard, and with horrific intonation. It also started me listening to guitarists. Now, if Christian Rock was a categorical pursuit on Jeopardy, I’d run the table without a glitch. I was a fence-sitter in terms of my allegiances, but also wasn’t the type to dismiss epic musicianship out of hand just because my Sabbath-head friends thought Jesus was a dumb subject to go on about. Besides, Sabbath couldn’t have been the cacophonous “Yang” without first having a “Yin” off which to launch anyway. My best friend and I wound up venting our musical spleens over the music of Petra, and another band, known as the real progenitors of Christian rock: The Resurrection Band. Resurrection band–also known as “Rez” to the fans, was not just some run-of-the-mill group of erstwhile hippies looking a for a record deal with an easy mark. They were Bona-fide street people from Chicago’s inner-city–interested in reaching Chicago’s inner city (for the record, they still are, 45 years later). Their music was theologically firm. Yet, it ascribed the walk with God as one that also included a social conscience. Their songs talked about the 80’s Atlanta shootings, the demonic paralysis of war, drug addiction, prostitution, brokeness, and the eugenic dismissal of the unborn and infirm. And racism. Primarily manifested in South Africa’s Apartheid behemoth. Google wasn’t around for me to just pop up the news. I had a good, old-fashioned television. But I never watched it because I was playing outside, or ripping my callouses on my guitar. So I learned a lot about the social predications locked into the gospel through these guys. 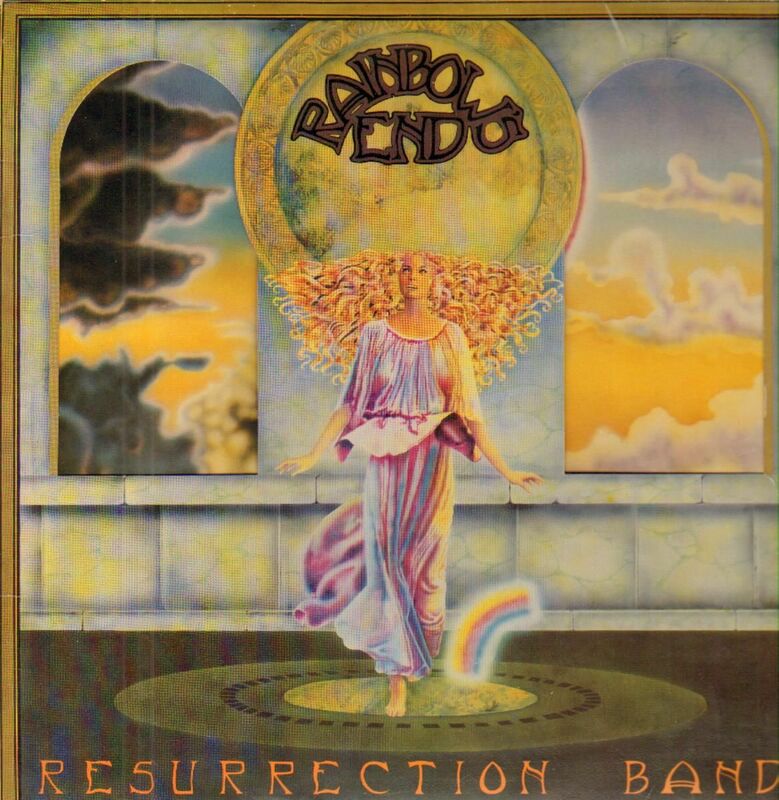 So–off I plunged–into what became my favorite record of theirs: Rainbow’s End. When I came to the song Afrikkans, I was properly stunned out of my wits. Not only did this song lay out one of the myriad of wrongs in the world–the song literally cries. It cries aloud. Glenn Kaiser–at that moment–became to me what few other vocalists would ever become; a genuine voice. And in my top tier of influences and unbeknownst mentors. His wife, Wendy, holds a tight harmonic line right above him. I knew that man meant business when he sang it. What I didn’t expect, however, was a guitar solo that would forever haunt me like no other. As a musician who, has many times crossed over into that “4th dimension” while playing (And I simply mean that to mean that something bigger was afoot when we were playing–not just some vague, metaphysical claptrap that sounds all Carlos Castaneda or anything), I STILL–stand in awe of the moment of pure pain and empathy that had to be present to play this. And Stu Heiss will forever live in my pantheon of greats–playing the guitar like no one else. This entry was posted in Guitar, Music, Writing and tagged Angus Young, Black Sabbath, C.S. Lewis, George Lynch, Glenn Kaiser, Guitar Solo, publishing, Rainbow's End, Resurrection band, Stu Heiss, Van Halen. Bookmark the permalink.